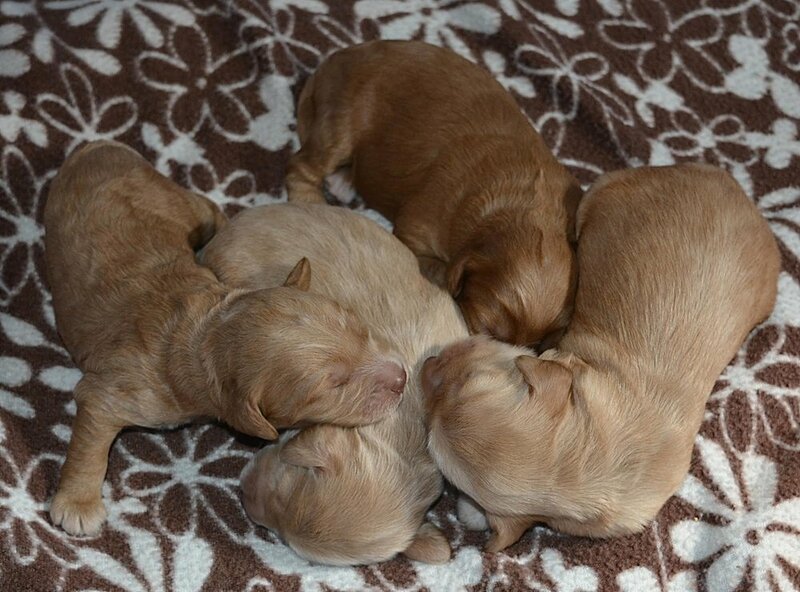 Cleo's puppies are one week old! 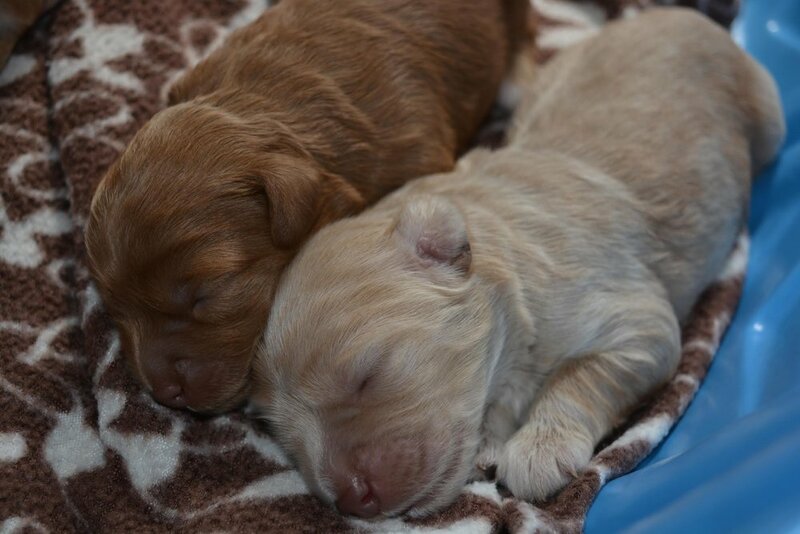 Cleo & Moose welcomed their sweet family at Koocanusa on June 13. 1 little boy with 3 cute sisters. Mama is doting on them all the time and they are blossoming under all the attention, along with her "yummy" milk. 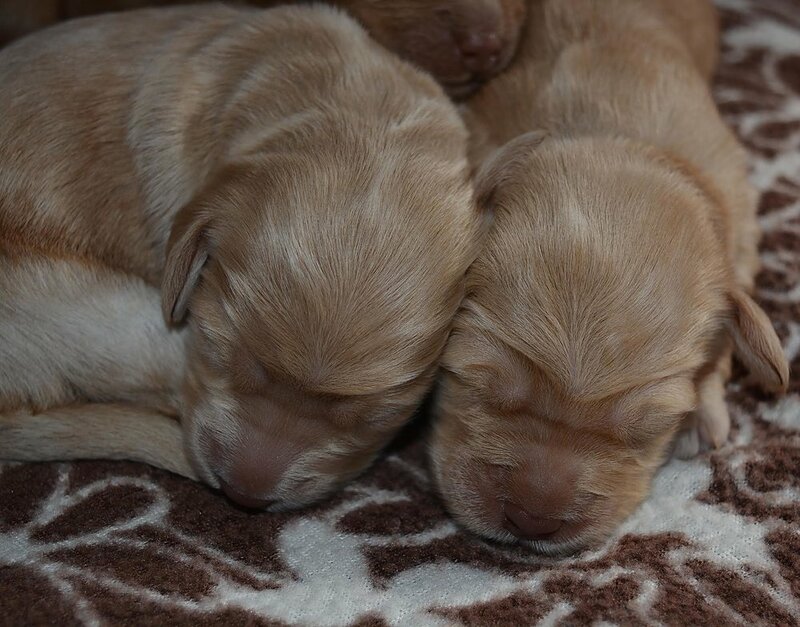 In a few days we are going to see their little eyes open to the wonders of the world around them.